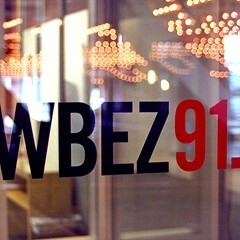 A few weeks ago I reported on an internal debate over education coverage at WBEZ. 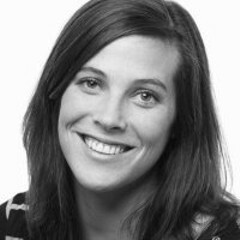 Should Becky Vevea, a freelancer who contributed hugely to WBEZ's superb coverage of the 2012-'13 school year, be hired to cover education full-time? Education reporter Linda Lutton thought so. But this sort of small-scale tweaking of staff and budget was hard to sell to Chicago Public Media CEO Torey Malatia, a big-picture guy. (Vevea was eventually hired, but as a producer instead of a reporter.) A CPM spokesman told me that once the board of directors approved his new budget, Malatia would sit down with me and explain what his big picture was. 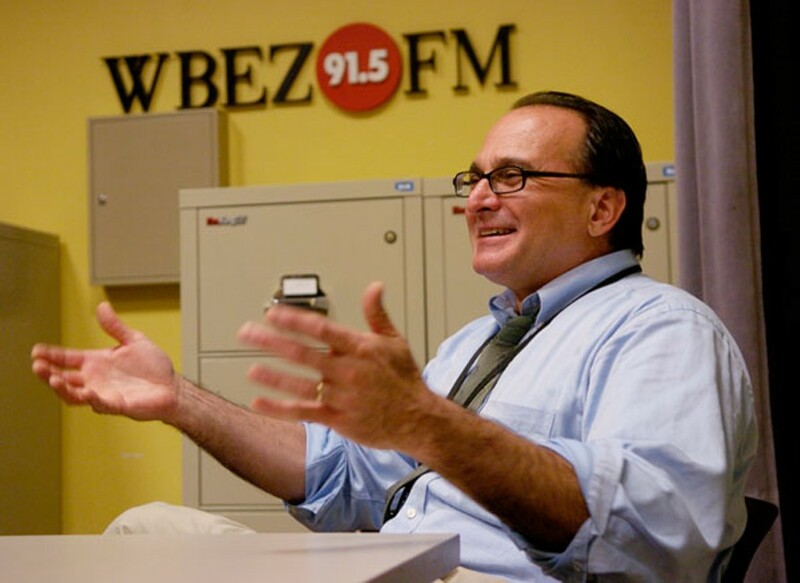 According to a newsroom veteran, Malatia's focus at the time was on creating new public affairs programs, even though a lot of the staff believed the ones WBEZ already had—Morning Shift, Worldview, Afternoon Shift—needed work. "This greatly troubled people who thought we needed to shore up other areas before adding more shows. But Torey would say, 'I'm the future-looking person.'" 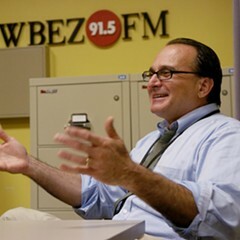 Malatia had made his reputation by creating programming at WBEZ. Recently, with the drive-time audience shrinking (though membership was holding steady), it was time to work more magic. But my sit-down with Malatia won't be happening. The board said yes to the budget, but on July 19 its executive committee met by telephone to discuss what its website calls "personnel matters and confidential advice of counsel." The following Monday morning, the board summoned Malatia to a meeting at Baird & Warner, home of board president Steve Baird. At the end of a week in which lawyers did what lawyers do while Malatia stayed home, CPM announced that its CEO had resigned. Two points need to be stressed. The first was made to me by Elspeth Revere, who handles media funding for the MacArthur Foundation. 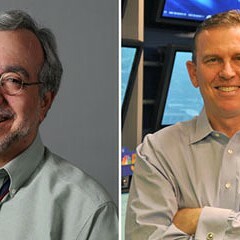 Nationally, Malatia's reputation as an innovative leader in public radio is sky-high. And why shouldn't it be? Malatia didn't create This American Life—Ira Glass did—but he recognized that WBEZ needed a new kind of arts show, turned to Glass to give him one, and got the seed money from the MacArthur Foundation to put it on the air in 1995. Nick Rabkin, then with MacArthur, recalls Malatia as "very confident, very sure of himself. He seemed to be very committed to taking 'BEZ in a new direction, though I'm not quite sure I got what that direction was." Later, Malatia would stick to his guns with Wait, Wait . . . Don't Tell Me!, allowing a show I thought was unlistenable when it was launched in 1998 to find its footing and become one of public radio's most popular. He'd tripled the station's audience over the years, inspiring staffers who considered themselves lucky to be working for someone so creative. Then, more recently, there was Vocalo, the wildly innovative radio frequency-slash-website (and brash younger brother to WBEZ) that can be seen—especially from a distance—as a noble failure. After it was launched five years ago, Vocalo overreached while attempting to send public media where it had to go: into digital media and Chicago's young, vast population beyond the cohort of white, affluent boomers that provided WBEZ's faithful core audience. Someone close to Malatia thinks the wall he built between Vocalo and WBEZ was far too high and wide. "I always thought, especially with a new venture like that, you needed everyone in the room: 'BEZ, This American Life, Vocalo. Torey hired a staff of thoughtful and creative people and sequestered them. The 'BEZ staff said, 'Why can't we participate in this as well?' We overisolated it. We created discontent." Robert Feder, who had earned a big name as a media reporter at the Sun-Times, joined Vocalo in 2009 and brought the experiment instant credibility. It didn't come cheap. Chicago Public Media reported to the IRS (in paperwork required of all tax-exempt organizations) that in fiscal 2010 Feder was CPM's sixth most compensated employee—making more than CFO Donna Moore, COO Alison Scholly, and certainly anybody in the WBEZ newsroom. When, long after he was gone, Feder's compensation leaked out (the salaries were listed on public documents), WBEZ's journalists had one more reason to shake their heads. It's not as if the job Malatia gave him couldn't be justified. My second point about Malatia is one I'll make on my own authority. Malatia took over programming at WBEZ in 1993 and became general manager in 1995, and 20 years is a long time for anyone to run anything. Given enough time, any well gets poisoned. The board that hired him is described by a CPM exec as a "very traditional nonprofit board of very high-minded civic leaders driven by the mission." A more dynamic WBEZ led to a more dynamic board. The one that retired him is "much more oriented to traditional business people who expect nonprofits to behave as businesses behave when it comes to efficiencies and data-driven culture." "When I started," says Ira Glass, "things were pretty groovy between Torey and the board." But the 2008 financial collapse pounded WBEZ as it pounded everyone, and although the station bounced back, the board "came out of that experience not feeling great faith in Torey" and added Alison Scholly as chief of operations. 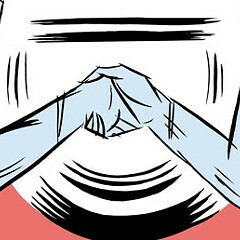 "She seems supercompetent," says Glass. 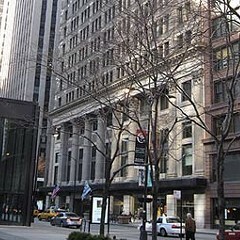 "She was brought in to compensate for the business side. Torey was the visionary who made [CPM] a national leader in programming." CPM revenues quickly recovered from the 2008 shellacking, but Malatia's relationship with the board didn't. "It's been tense," says Glass, who admires Malatia enormously and remains close to him. "I'd hear of bad meetings of Torey and the executive committee. Yet he's making his numbers. The station's doing fine, so I don't think it's anything concrete. I really think it was hard for them to feel a sense of trust. It was like a marriage going bad." Phone calls I made to Malatia, Baird, and other board members were not returned. Scholly, now the acting CEO, replied that it was the wrong time for an interview; she's told her staff she's a candidate for Malatia's job, which the board is not expected to fill for months. Two Chicago Public Media veterans made the same assessment of her. They respect Scholly for her administrative skills but believe that to reinvigorate CPM those skills are not enough. Just as the board concluded that Malatia needed someone alongside him more adept at the nuts and bolts of running a business, they think Scholly would fail unless someone much less corporate and much more visionary is brought in to accompany her. Another Malatia. A coming app aims to spare listeners the clutter of the news.